Bagged common and HE rounds. Illuminating and antisubmarine rounds were also supplied. 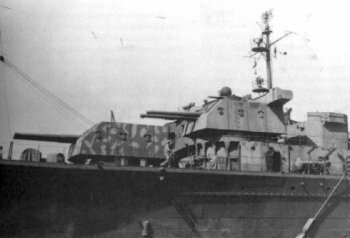 These guns were used as secondary armament on the Fuso- and Kongo-class battleships and as main armament in dual mounts on the Agano-class light cruisers. The dual mount could elevate to 55 degrees.